After being expected for a few weeks now, Topps confirmed rumors by announcing the first Garbage Pail Kids retail set for 2018. 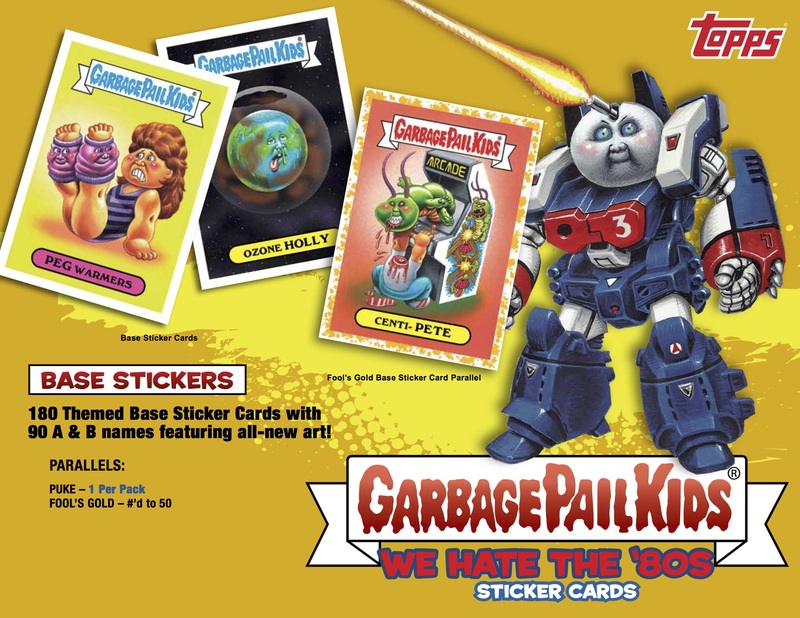 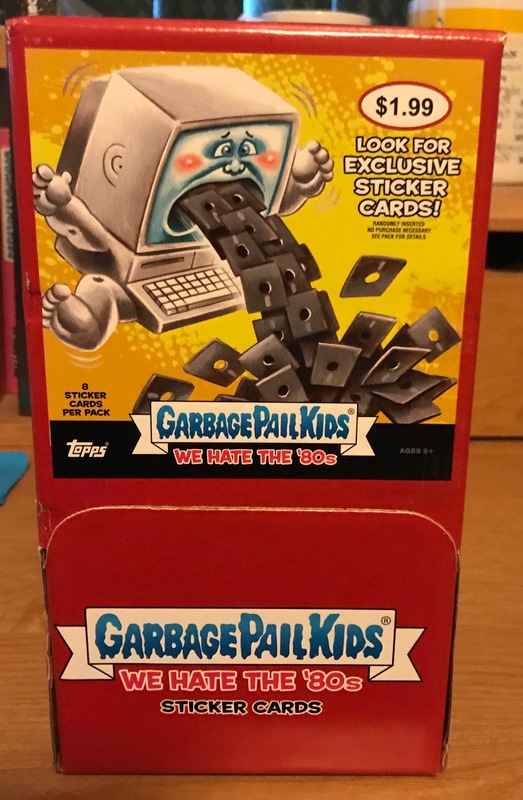 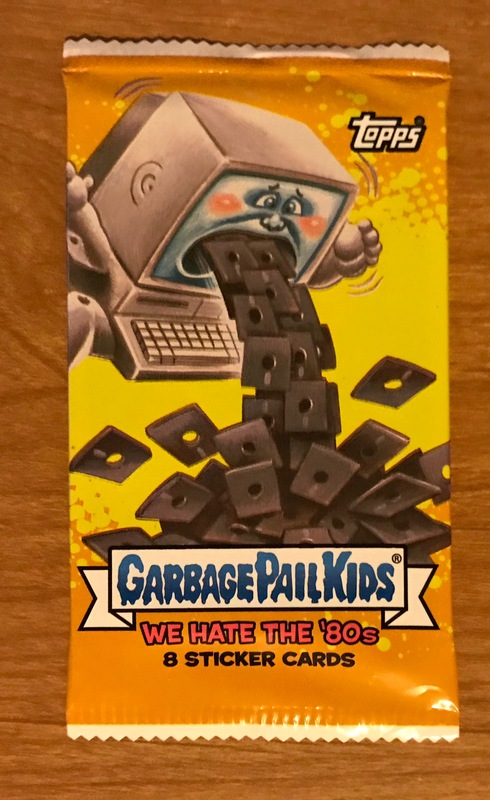 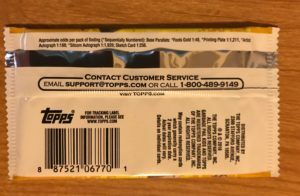 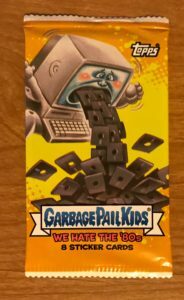 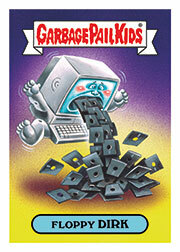 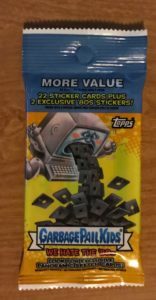 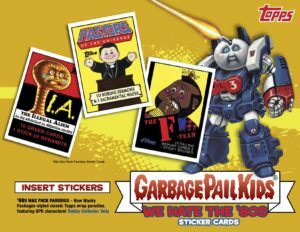 Today Topps announced 2018 Series 1 Garbage Pail Kids We Hate the 80’s. 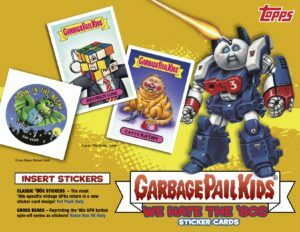 The set will focus on parodies of everything from the 1980’s, the decade GPKs were born. 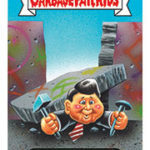 The setup looks to be identical to the next GPK set, Battle of the Bands. 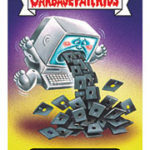 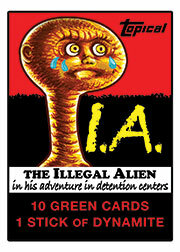 Once again there will be 180 base cards, consisting of 90 new pieces of artwork available in a/b names. The set will be broken up into various subsets, all themed with 80’s references. 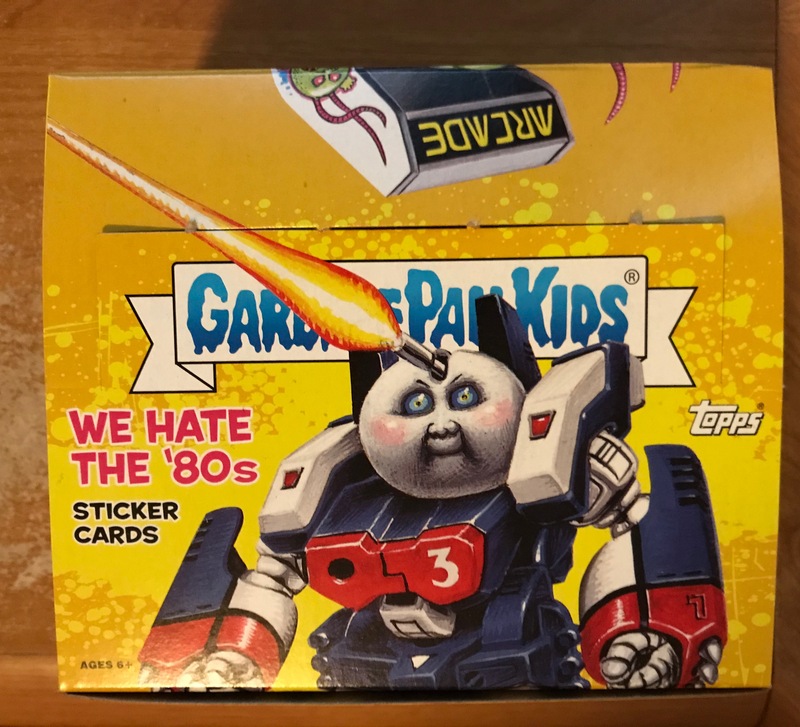 Parallels remain the same. 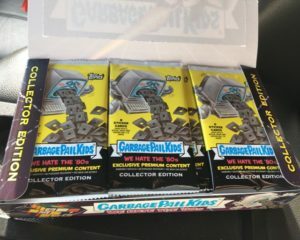 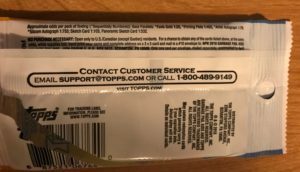 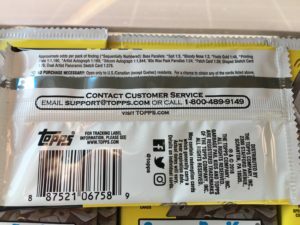 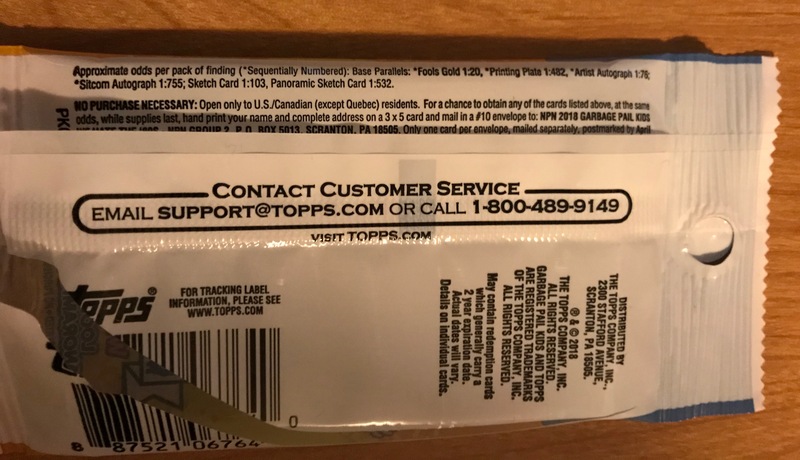 Hobby and Retail packs will contain one green Puke parallel per pack. 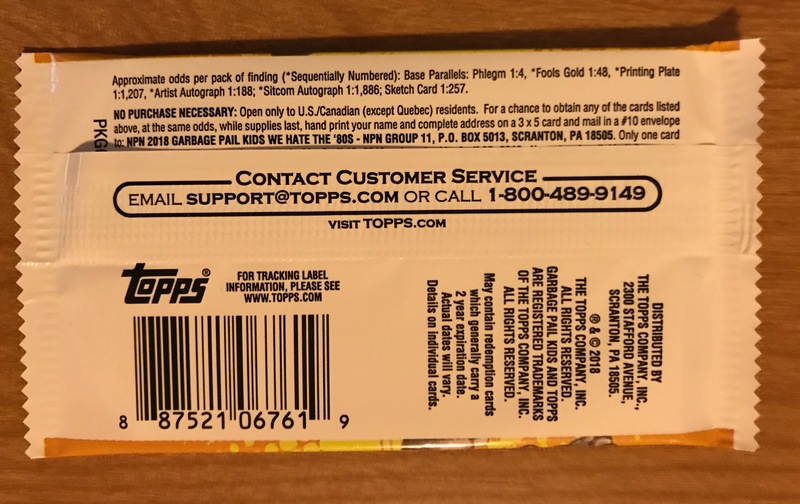 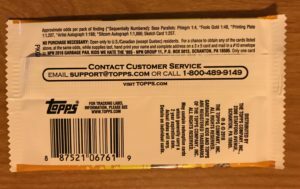 Gold parallels will once again be numbered /50, and are available in all pack types. 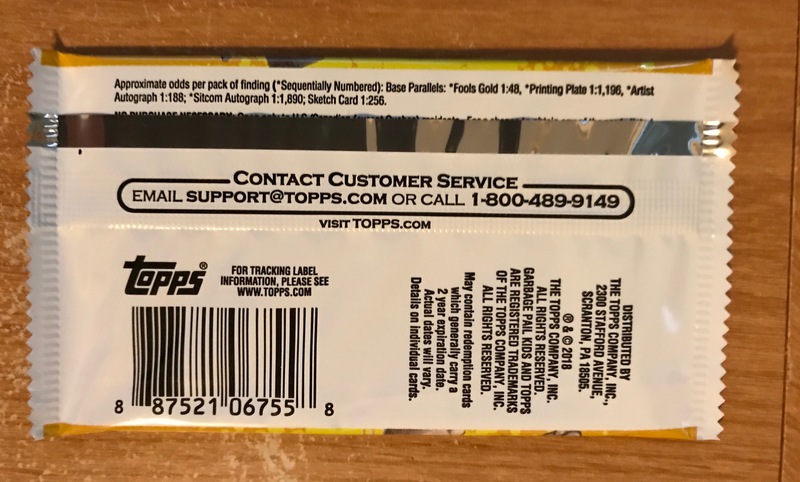 Also, Bruised, Spit /99, and Bloody Nose /75 parallels will only appear in Collector packs. Collector packs will also contain an insert set called 80’s Wax Pack Parodies. 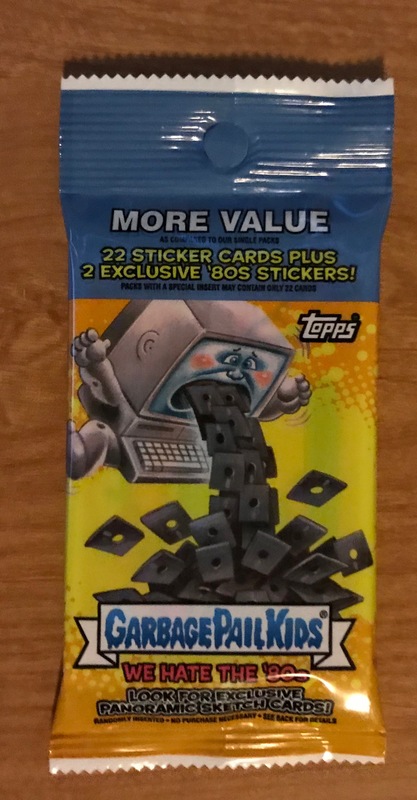 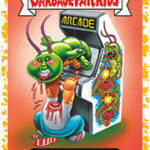 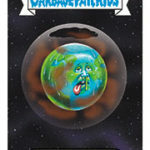 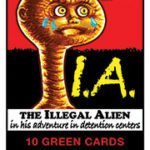 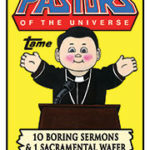 These are Wacky Packages style cards that are parodies of various Topps products from the 80’s. Most like these will fall one per Collector Box. 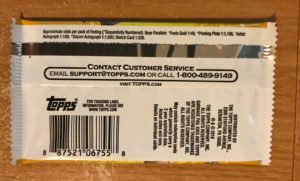 Artist autographs and printing plates will continue to be found in all pack types. 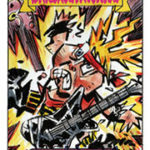 Hobby and Retail packs will have regular sketches inserted in them. Collector boxes are once again guaranteed one hit per box either a shaped sketch, auto, printing plate, or patch card. 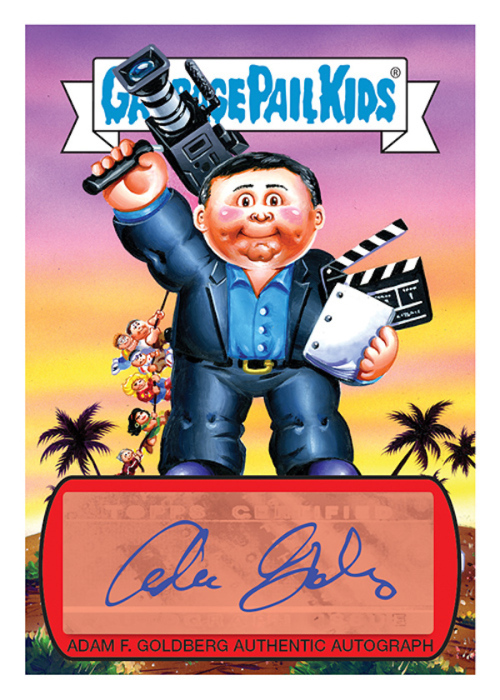 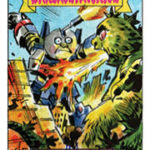 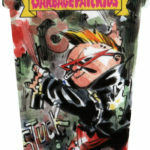 Also returning to collector packs will be dual artist panoramic sketch cards. 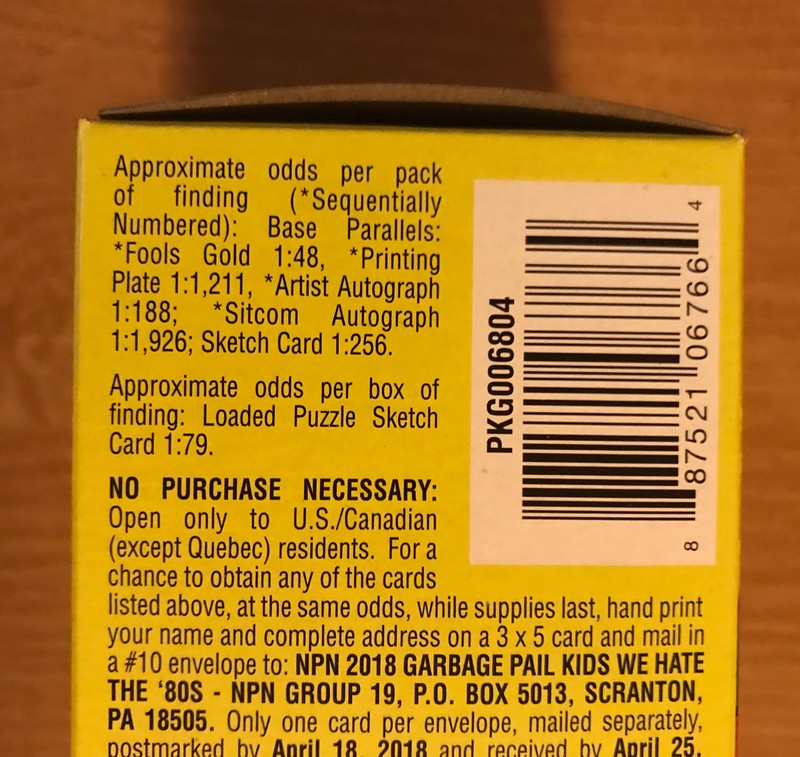 The setup appears to match the 2017S2 set exactly. 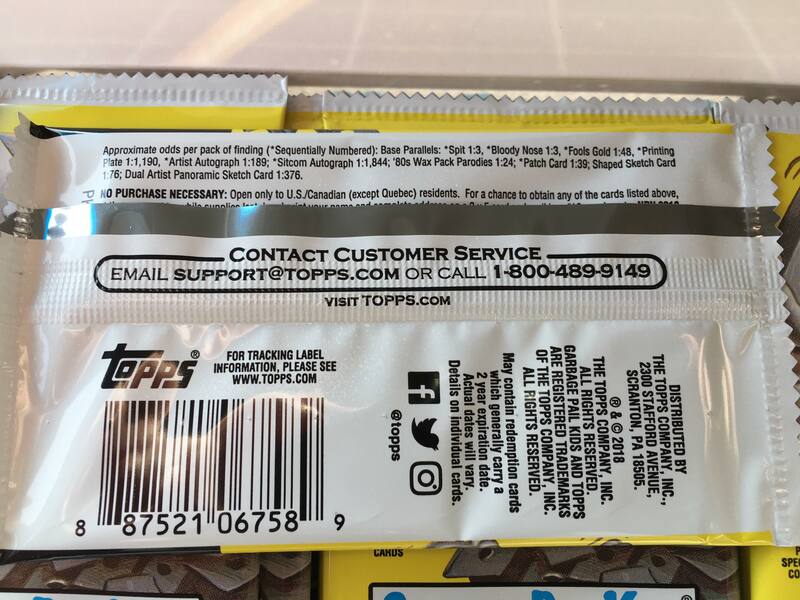 Once we get retail sell sheet info, I will pass it along. 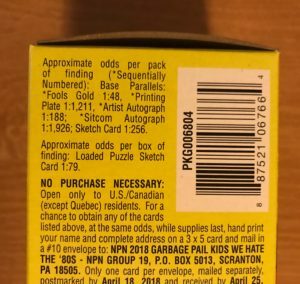 For now you can see the sell sheet here in PDF form, or check out the pictures below. 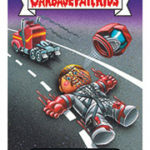 There is also a gallery of examples of the cards for the new set. 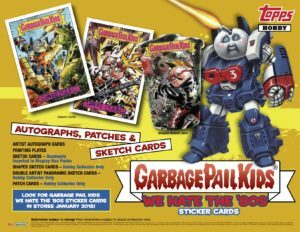 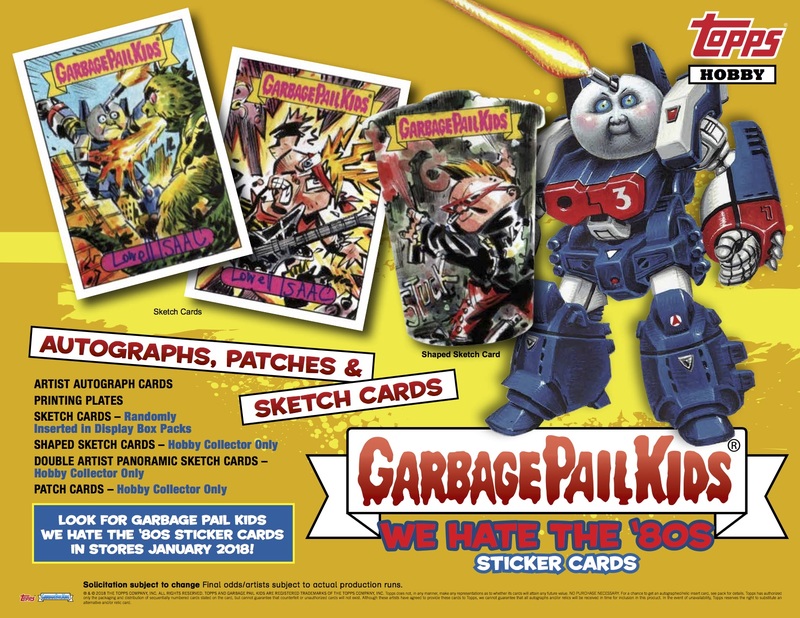 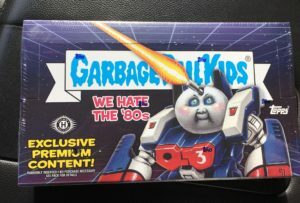 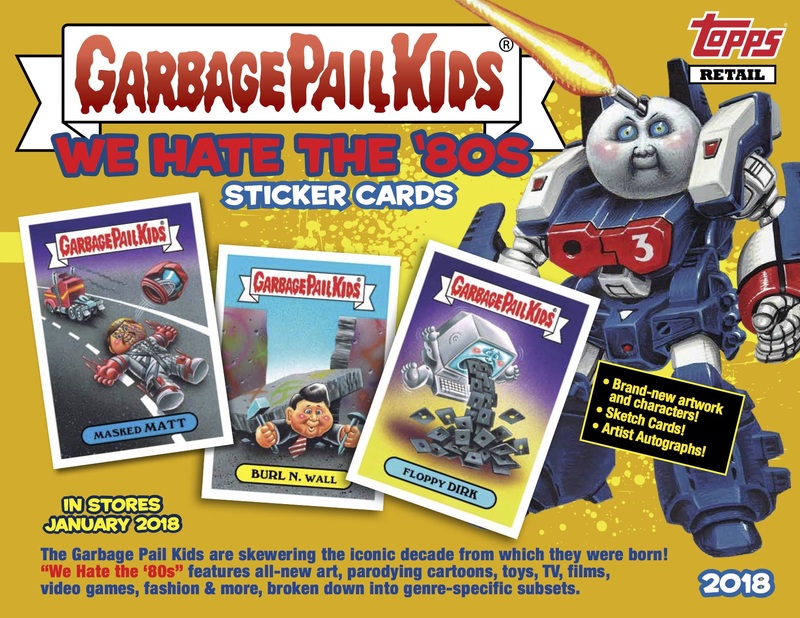 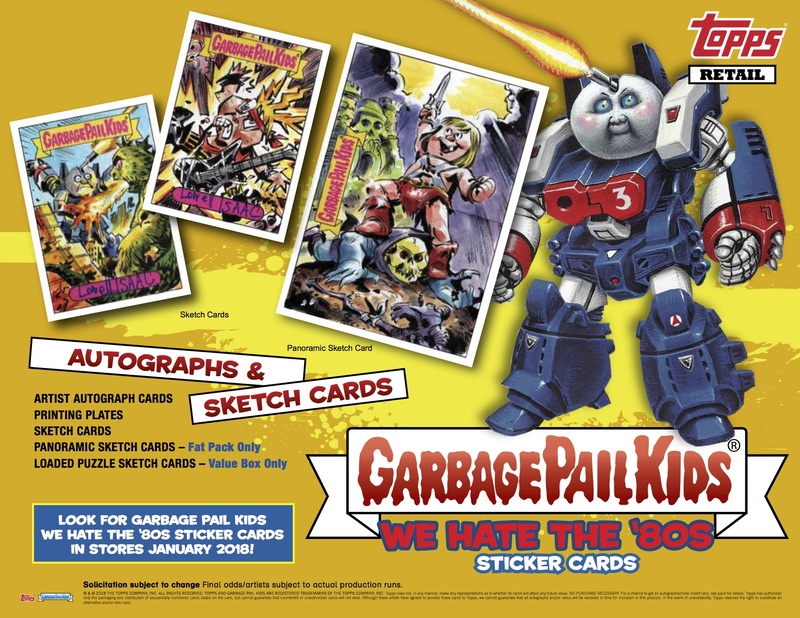 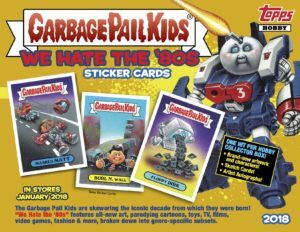 2018S1 GPK We Hate the 80’s is set to hit stores in Jan. 17, 2018.